The Hate and Hostility Research Group at the University of Limerick is pleased to offer PhD Scholarships in Hate Studies for September 2017 start. Applicants of all nationalities are eligible to apply for this scholarship program. The Hate and Hostility Research Group is an academic research group in Ireland dedicated to the field of hate studies and hostility towards difference. Its directors, Dr Amanda Haynes (Dept of Sociology) and Jennifer Schweppe (School of Law) are the leading experts in the field of hate crime in Ireland, and the work of the Group has been funded by the European Union, the Irish Research Council and the Irish Council for Civil Liberties. 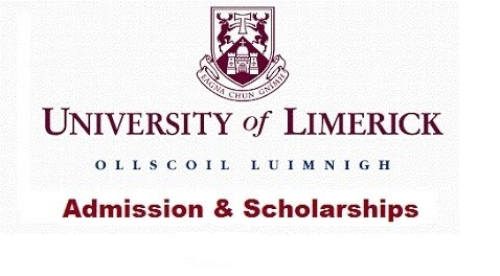 Scholarship Award: The Faculty of Arts, Humanities & Social Sciences at the University of Limerick, Ireland, is offering a number of Fee Waivers and Scholarships to PhD candidates on a competitive basis. Applicants for a Master’s programme must normally have a first or second class Level 8 honours degree (NFQ or other internationally recognised equivalent) in a relevant or appropriate subject, or equivalent prior learning that is recognised by the University as meeting this requirement. Applicants must also satisfy the English Language Requirements of the University. The University reserves the right to shortlist and interview applicants as deemed necessary. 1. Entrance Requirements: Applicants for a Master’s programme must normally have a first or second class Level 8 honours degree (NFQ or other internationally recognised equivalent) in a relevant or appropriate subject, or equivalent prior learning that is recognised by the University as meeting this requirement. 2. English language Requirements: Applicants have to meet the English Language Requirements of the university. How to Apply: Proposals can come from any discipline, though the expertise of the Group lies in the areas of sociology and law. Prospective applicants should submit a two page research proposal to hhrg-at-ul.ie by 31st May 2017. All applications should be accompanied by a CV and transcript. If you have any queries regarding the scholarships, please contact Jennifer Schweppe at jennifer.schweppe-at-ul.ie. A research proposal (click to view guidelines for your proposal). Original transcripts of all third level degrees (except University of Limerick transcripts). Two signed references must be included (at least one must be an academic reference). Where relevant, information on financial aid/scholarship must be included. Now that all the information about PhD Scholarships in Hate Studies for International Students at University of Limerick in Ireland has been delivered nicely; talented students who are eager to pursue their Free Tuition/Scholarships/Study in Ireland can apply now.